Men's Watch & Belt (2 Pc Set) - Assorted Styles Only $21 Shipped! You are here: Home / Great Deals / Men’s Watch & Belt (2 Pc Set) – Assorted Styles Only $21 Shipped! Men’s Watch & Belt (2 Pc Set) – Assorted Styles Only $21 Shipped! Here’s a fantastic deal for the kids to give to Dad! A man sporting a classy timepiece and a sleek belt, is worth his weight in the style world! That’s why he’ll love this set. 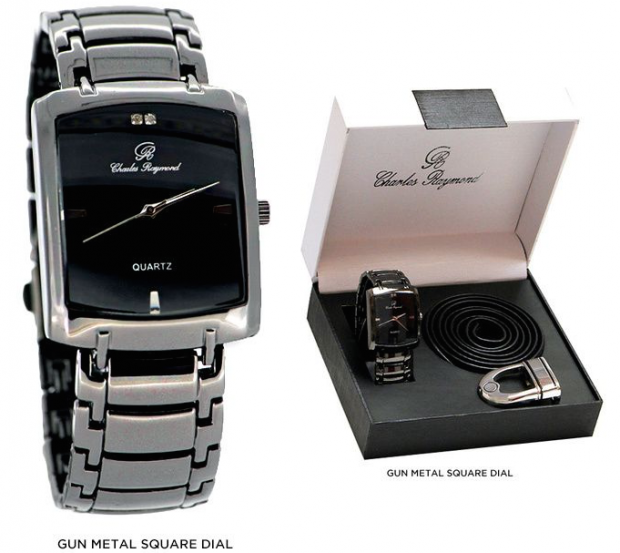 Get the Men’s Watch & Belt (2 Pc Set) – in Assorted Styles for Only $21 Shipped! Available in 4 styles to find one for every man’s taste!